Sydney/Islamabad: Just when we got used to the sight of drones in the sky, capturing stunning aerial views, it’s time to get a grasp on a new idea: drones underwater. Like its airborne cousin, an underwater drone is released to fulfil a mission on its own. It follows a preprogrammed path, captures images and other data, and delivers them back to base. Intelligent aquatic drones could even make autonomous decisions, like changing course to avoid obstacles, or identifying areas of particular interest. At least that’s the idea. Underwater drones are a very new concept, and a team of four young scientists in Australia is at the forefront of pushing its boundaries. They formed a start-up called Abyss, operating out of Sydney. Before getting into the details of Abyss’s product, it’s worth taking a moment to appreciate the team’s qualification. It’s a fairy-tale story of Australian immigration. At the helm of Abyss is CEO Nasir Ahsan, a Pakistani who holds a PhD in marine robotics. 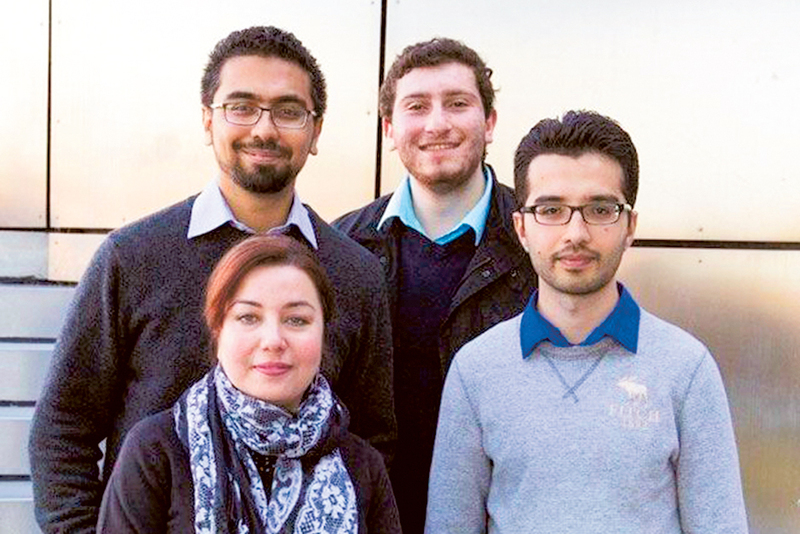 Co-founders include his wife Hina Ahsan, who holds a master’s degree in data analytics; Masoud Naqshbandi, a sensor technology expert from Afghanistan; and Ebraham Kazzaz, a civil engineer and Australian of Lebanese descent. Nasir grew up near the high-altitude Himalayan lakes in Pakistan. This, he says, instilled in him a longing for underwater exploration. “Nobody has ever mapped them, exposed the depths of these,” he says. It took a while for everything to align so that Nasir could turn his youthful fascination into a career. Starting out with computer science, he became involved with artificial intelligence, applied this to autonomous systems, then stumbled upon the emerging field of underwater robots. Here, all of his interests came together, and he’s now one of a handful of specialists worldwide. In his life as a researcher, he’s handled everything from small autonomous vehicles to multimillion-dollar remotely operated underwater vehicles (ROVs). “On the Nautilus, I was the navigator for the Hercules ROV, which is equipped with powerful high-definition cameras. We saw a lot of wonderful things there,” he says. In the long run, Nasir found academia too limiting. The idea arose to assemble a dream team of close friends to start a business. “Academia is a great place to be, however it does not give me the freedom of research. It’s always driven by who funds me. I wanted to fund my own research,” Nasir explains. Nasir had already defined which particular aspects of underwater robotics he wanted to tackle. On top of that list was making the field more accessible to more people. “There’s a lot of stuff restricted to big companies, like oil companies, or the scientific community,” he says. Abyss’ primary goal is to make underwater robots attainable for smaller companies or even individuals. This can be achieved by incrementally improving on existing underwater robots. At one end of the scale are the heavy-duty, multimillion dollar ROVs like the Hercules. On the other end, new, nimbler versions are emerging. The significant breakthrough was made by a Bay-area initiative called OpenROV. This open source underwater robot development kit is spearheaded by former Nasa engineer Eric Stackpole. Nasir found that a good business opportunity for aquatic drones lies in routine inspection of underwater infrastructure like dams, waterways, reservoirs, pipelines, or even fish farms.